Trying to determine the top 10 Vegas poker rooms is like trying to hold luck in your hands. Rankings change depending on a number of factors, including what games you’re looking for and what kind of atmosphere you prefer. You may want a soft game with low stakes, or if you are a real card pro, a round of N/L with the big boys. Opinions vary, but below is a list of the rooms most often mentioned when people rank the top 10. The Venetian―This recently renovated room is the biggest one in town, boasting 59 tables. It’s bright and spacious, and people who play there generally rank the service and the games as top rate. Table side food and drink are available from the Grand Lux Café. Dealers and servers are also ranked highly, and most people reviewing the tables place it in their top three rooms. It’s also one of the most elegantly designed rooms in Vegas. Aria―The Aria for many players is as popular as the Venetian. 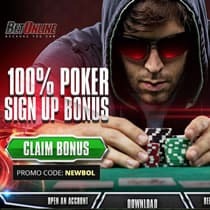 It has the different levels of action players want, and the dealers and servers are all ranked very high, with some players noting that the waitresses are amazingly attractive. The Aria is also moving to take over the high stakes action from the Bellagio and so has moved up in the rankings for some players. Bellagio―Reviews on the Bellagio range from five star to “avoid at all costs.” The room is given high marks for décor and amenities, but some people complain that it is cramped. On the plus side, it is located right next to a bathroom, the sports book, and snack shop. Also, a lot many players love that the famous “Bobby’s Room,” the high stakes poker location that draws famous players from all over the world, is right next door. Other less enchanted players claim the service is bad and the dealers are rude. The Mirage―The Mirage is generally given high marks as a place that still has great poker action. The service and dealers are considered to be quite good, but the thing most people rave about is the atmosphere. Many players love the relaxed mood of the room. It’s not loud or rushed, and that suits players who want distractions kept to a minimum. Binions―The new poker room at Binions attempts to keep the nostalgia of the old room’s glorious poker past while bringing in new people. Overall, players give the new room good marks, but the real draw for people is the history, not the action or the service. However, poker lovers like to go and play at least once, so they can feel a part of poker history. Rio All-Suite―Though the World Series of Poker is actually held in their convention center, the WSOP cachet alone is enough to entice people to this poker room. Reviews of the service and action are good, but some people are a little disappointed that it didn’t live up to its “bigger than life” reputation. Still for a quality game and service, it’s a good bet. MGM Grand – While there are quite a few complaints regarding the temporary location of the poker room due to construction, it is still considered a high quality spot to play poker that provides a good environment for beginners and weak players. A large tourist attraction renders the MGM poker room full of players who are not very experienced so experienced players consider it a good place to make easy money. Caesar’s – Based on visitor feedback, both beginners and experienced players felt that this poker room offered what they needed in terms of game selection, professional dealers, and stakes. Players also have given this poker room a big thumbs up on attention to detail, from the comfy chairs to the highly attentive and responsive staff. It probably offers one of the most immaculately decorated environments in Vegas, and many players commented on enjoying the lush, elegant atmosphere that made them feel like they were someplace special. Bring a sweater though – lots of mentions about cooler temperatures in the room. The Wynn – This poker room actually had some of the most positive feedback among visitors, and is considered one of the top rooms for mid-stakes action. A lot of players noticed the details such as the poker room using the highest quality cards and ships and really comfortable furniture. The game options, floormen and service ranked well with players, and everyone seemed to like that the poker room is easily accessed, located close to an entrance and parking so you’re not required to go through the whole casino to get there. The Palms – Players like the high hand bonuses, service and staff. The atmosphere is considered ‘hopping’, so if you’re looking for a quieter more serene atmosphere, might not be the place for you. It was also noted often that there are quite a few local players who frequent this poker room, which can make the action quite tight and not a great spot for inexperienced players. This room is smaller, so it can fill up fast at peak times making it a little challenging to get a seat. Keep in mind though that it attracts regulars not just to prey on the fish, but because its just a high quality poker room. Poll 100 poker players, and you’ll get 100 different lists, but the above rooms are frequently touted by professionals and amateurs alike as being among the best Vegas poker rooms. If your interested in playing on the internet instead of flying to vegas, check out our vegas online poker room reviews.